26L x 12W x 15H. 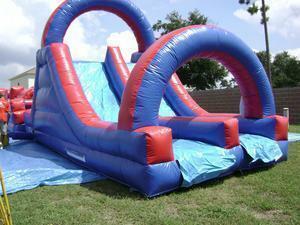 This 15 FT Double Lane Rock Climb Slide is great for ages under 12 but adults and older children can play too!! !